La Manga - Six months ago, Borussia Dortmund were the club supposedly set to provide the biggest challenge to apparent title favourites FC Bayern München in 2014/15. BVB’s winter training camp in La Manga, Spain has given the players an opportunity to get back onto the training ground and begin intensive preparation for the Bundesliga's resumption, but there is no doubt that their paltry points total in the Hinrunde still rankles. In a candid interview with German football magazine kicker, Dortmund’s coach since 2008 expanded in depth on his comment following Matchday 17's 2-1 defeat to SV Werder Bremen that it had been “the worst first half to a season of our lives”. The glass is always half-full with Klopp, though, and despite the misery they endured between August and December, the coach maintains the ordeal has helped his battered squad grow. With perfect conditions in which to train, prepare, analyse and plan for the second half of the season, and with some key players nearing a return to full fitness, Klopp now glimpses the outline of a bright future from the sunshine of southern Spain. Well-documented mistakes in defence were blamed as the cause for many of Borussia’s defeats in the Hinrunde, but in fact, a potentially graver problem was their inability to convert chances. Pierre-Emerick Aubameyang is their top scorer with five league goals, while summer arrivals Ciro Immobile, Adrian Ramos and Shinji Kagawa have added just three, two and one respectively. To that end, Klopp has been able to add Kevin Kampl, an attacking midfielder with a promising record for previous club FC Salzburg (29 goals and 54 assists in 109 appearances) to the squad, and he is evidently excited at what the 24-year-old can bring to the team. “We need players with talent on the ball and a willingness to work hard on winning it back - he has both." Encouragingly for Klopp, Kampl, a boyhood BVB fan, has slotted in seamlessly into his new surroundings and impressed on his first appearance, a 1-0 friendly win over FC Sion. Perhaps of the utmost importance for Klopp, the squad and even the club itself, though, is that Marco Reus will be fit and raring to go when the whistle sounds to begin Dortmund’s game at Bayer 04 Leverkusen on 31 January. After his 2014 was seemingly decimated by various serious injuries, the worst of which prevented him from featuring in Germany’s triumphant FIFA World Cup campaign, 2015 marks a new start for the 25-year-old superstar, even if Klopp admits he will need time to get back to his competitive best. 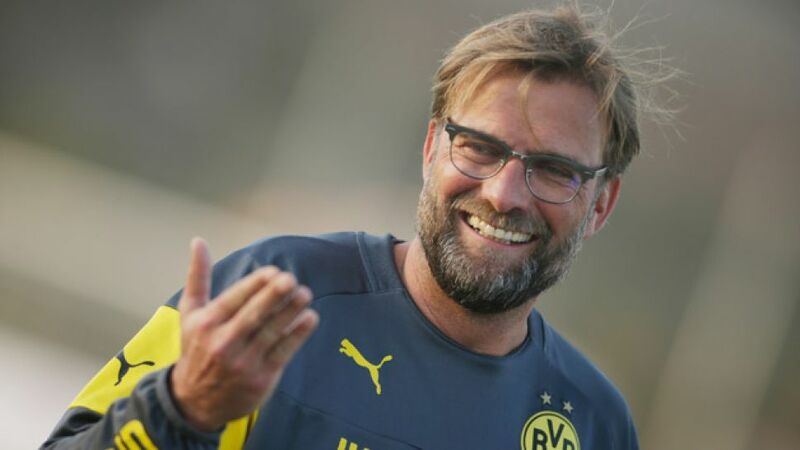 Quite apart from the fact Reus’ return usually makes his team-mates play better, it is that type of selfless, team-oriented approach that Klopp will be looking to channel as die Schwarzgelben attempt to bring a turbulent campaign back under control. It is also in their favour that, regardless of their position in the table, they are only “four or five points from where we want to be".